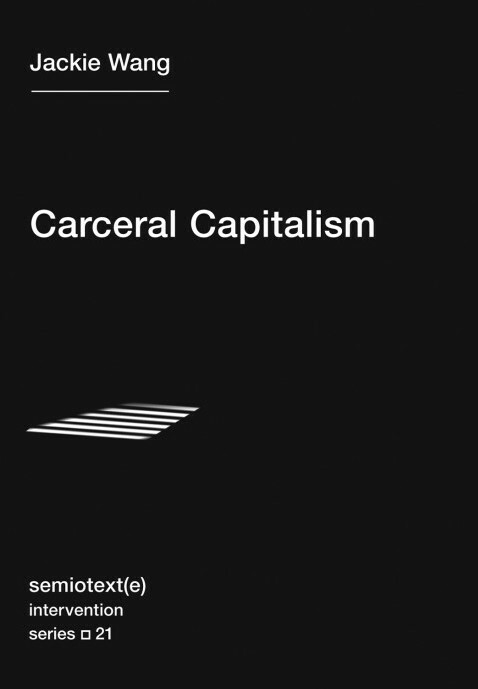 Book Review of Jackie Wang’s "Carceral Capitalism"
Jackie Wang’s Carceral Capitalism (MIT Press, 2018) is arguably one of the most wide-ranging, critical, and theoretically nuanced examinations of the political economy of the carceral state in the USA to date. While there has been a substantial growth in writing on the criminal justice system in recent years, particularly following critical engagement with Michelle Alexander’s The New Jim Crow (2010), there remains important theoretical gaps in understanding the political and economic dynamics of mass incarceration under neoliberalism. Wang helps to fill those gaps by taking seriously the relevance of radical political economy to understanding the foundations of the carceral state and outlining the limitations of these approaches in acknowledging the centrality of anti-black racism which, as Wang notes, is “at the heart of mass incarceration” (85). The main theoretical framework underpinning Wang’s analysis is her deployment of the concept of racial capitalism to capture the racialized dimensions of accumulation and class in the contemporary U.S. social system. Wang begins by examining Marx’s analysis of ‘primitive accumulation’ in Capital , and then Rosa Luxemburg’s extension of Marx through her work on the expanded reproduction of capital and the spatio-temporal dynamics of capitalism’s expropriating logic across the world market. Tracing Luxemburg’s analysis to David Harvey and his notion of ‘accumulation by dispossession,’ Wang then explores the limits of conventional Marxist analyses in adequately encompassing all the dynamics of oppression and class stratification in capitalist societies. From here, Wang highlights two central modalities of oppression within the U.S. carceral-debt economy: predatory lending and parasitic governance. Underscoring financialization in the neoliberal period, Wang illustrates how, through administrative mechanisms that are apparently colour-blind, financialization intensifies expropriation through the inclusion of marginalized and racialized subjects into financial markets as opposed to their exclusion from credit markets, which characterized previous historical periods. In demonstrating the uneven accumulation of credit and uneven distribution of ‘risk’ across class and racial lines, Wang’s chapter on racial capitalism and the debt economy concludes that an anti-black racial order is produced by late-capitalist accumulation in the USA (120). Analyzing a wide variety of forms and relations of indebtedness within the U.S. economy, from student debt, to securitized mortgage loans, to criminal justice debt, Wang unpacks the ‘racialization of risk’ embedded within the lending practices of financial institutions and the foundational structures of the U.S. economy more broadly (146). Within the context of a low-growth economy, when conventional forms of accumulation are reaching their limits and the low-income access to credit have been all but exhausted, Wang asserts that “fraud and predation become a way to secure profits and maintain growth as there are fewer and fewer domains for expansion” (148). Fraudulent lending practices, regressive surcharges and fees, and forms of high-pressure sales manipulation by financial institutions that target the most vulnerable populations have become central to new forms of surplus extraction within the USA. Wang’s analysis advances a novel theoretical placement of the dispossessions that produce racial capitalism alongside Marxist theorizations of accumulation, crisis, and the state. Drawing on Marxist theories of public finance as well as Wolfgang Streeck’s notion of the transformation from a postwar ‘tax state’ to a neoliberal ‘debt state,’ Wang highlights the financialization of public debt. With the political ascendance of bondholders, she contends, “government bodies [have] become more accountable to creditors than to the public” through their debt-servicing obligations (18). Wang’s analysis thus uncovers surprising intersections between municipal finance and the new financial architecture of the U.S. criminal justice system as the courts and prison system adapt the neoliberal administrative practices of forging ‘user-funded public services’. Unlike most studies produced by legal scholars and non-profit advocacy groups, Wang situates the shift toward an ‘offender-funded’ criminal justice system in the post-2008 period within the crisis of public finances, particularly of cities, and the turn to fiscal austerity and the radical extension of the neoliberal practices of the ‘new public management’ across all levels of government. Indeed, Wang shows how the fiscal collapse of cities and municipalities across the USA – from Flint, to Detroit, and Ferguson – emerged from the historical dynamics of financialization, de-industrialization, capital flight, and shifting tax regimes. In the post-2008 crisis period, the additional fiscal pressures prompted states to further download the costs of the carceral system onto offenders. It is here that Wang makes the novel and controversial argument that the state increasingly relies on the criminal justice apparatus – from the array of fines and fees levied on users of the criminal justice system, to the civil forfeiture of ‘assets’ to police departments, and to the elaborate debt collection efforts of the criminal justice system – to expropriate funds from marginalized segments of the U.S. population. Notably, Wang calls these processes an ‘expropriative tax.’ Wang argues that these regressive methods of revenue extraction enable governments to recover some of the costs of the criminal justice system and serve as an indirect means for austerity-driven governments to service their debts (176). In making this argument, Wang illustrates how deeply engrained the criminal justice system is within the political economy of the USA. In the second half of her book, Wang explores specific aspects of carceral capitalism. ‘Biopower’ and the construction of juvenile delinquency in the popular imaginary is taken up through an engagement with Agamben, Foucault, and Esposito; algorithmic policing technologies implemented across U.S. police departments form part of what can be summed up as a Silicon Valley-education-policing complex; the politics of safety and liberal anti-racism are probed for how they often constrain critical reflection and political action. Wang concludes with a discussion of potential ‘abolitionist futures’, draws again on Luxemburg for her sense of mass struggle, but also black radical thinkers such as W.E.B. Du Bois, George Jackson, and others. In all this, Carceral Capitalism illustrates the numerous intersections between carceral governance and capitalism in the U.S. and their political importance in American politics today. A major political conclusion of Wang’s book is its engagement with prison abolitionism, a central theme of the prison reform movement. While Black Lives Matter, Indigenous groups, and immigrants’ rights organizations around the U.S. and Canada have continued to shed light on the importance of radically restructuring criminal justice apparatuses from their current form, these issues have not figured high on the agenda of the Left. With the intense level of political attention on the Trump administration’s abuse of immigrant families at the U.S. southern border, and calls from some progressive circles for the abolition of the Immigration and Customs Enforcement (ICE) office, Wang’s text reminds us that all elements of the criminal justice system separate, terrorize, and brutalize many families every day, especially low-income, racialized, and immigrant working-class families. In the book’s final chapter, entitled “The Prison Abolitionist Imagination: A Conversation,” Wang remarks that, just as it has been said that it is easier to imagine the end of the world than it is to imagine the end of capitalism, many believe that it is easier to imagine the end of the world than it is to imagine a world without prisons (297). While she certainly illustrates how deeply embedded the criminal justice system is within the capitalist system, Wang offers less in how an integrated anti-capitalist and prison abolitionist movement might take root. Nonetheless, as her argument demonstrates, the depth and scope of carcerality in the U.S. renders piecemeal reform of the criminal justice system not only strategically misguided but also self-defeating. 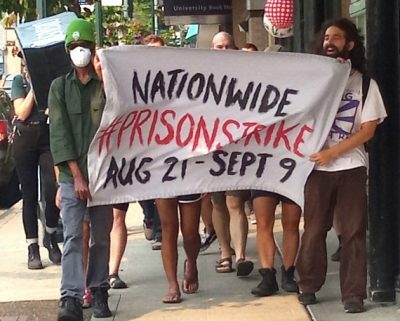 From the surveillance software concocted in universities and sold to police departments by Silicon Valley startups, to the debt-collection companies that rely on the carceral state to collect and pursue unpaid debts, and the more prosaic elements of the criminal justice system, the carceral apparatus is deeply entwined in U.S. capitalism and remains a central issue around which the Left must mobilize in the making of a new working-class movement. Carceral Capitalism is both an illuminating critique of the U.S. criminal justice system and a much-needed synthesis of anti-capitalist and abolitionist politics. The book is unconventional in form and structure, shifting from the author’s personal reflections on the U.S. criminal justice system, abolitionist poetry and writing, to a sophisticated critique of policing, power, and the political economy of capitalism and the carceral state in the USA. Wang’s analysis also has relevance for the Canadian context, where immigration detention centers continue to indefinitely detain Black and Brown immigrant populations, private security forces continue to proliferate at an unknown rate, and Indigenous populations continue to be targeted by the criminal justice system on a vastly disproportionate scale. There is the same need in Canada to re-insert creative and imaginative modes of thinking about reforming – even abolishing – the criminal justice and prison systems into the radical Left as part of an emancipatory future. Wang urges readers, activists, and onlookers that the prison – as a symbol of carceral capitalism – can only be undone by using “a mode of thinking that does not capitulate to the realism of the present” (298). Dillon Wamsley is a doctoral student in the Department of Politics at York University in Toronto.